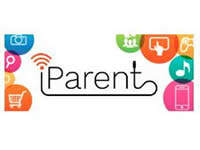 On Tuesday evening Strathmore Secondary College hosted the first of our parenting seminars for 2018, ‘Parenting in the Digital World’. The session was presented by Kris from the Alannah and Madeleine Foundation and provided practical tips for managing technology in the home, as well as research based evidence on technology use. We will be running more of these events in Term 2, so stay tuned for more information about booking next term. Below are some useful links for parents from the session.